Why did people respond to that ad? Because they wanted to learn the technique of getting along with and influencing other people, and at that time, this ad was the answer to their needs. 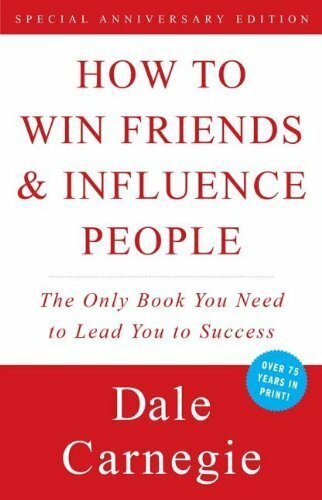 This is a brief Summary of “How To Win Friends & Influence People” by Dale Carnegie. 76 years have passed since it was first published, and its teachings and techniques remain as current as ever. These are only the first three chapters of the book. I highly recommend that you get the book, study it and apply it’s techniques. The reading is easy and the book is full of interesting stories. Plus, if there is one thing that can help you succeed in life is to develop your skills in “How To Win Friends & Influence People”. This chapter talks about how and why criticism is futile. Ninety-nine times out of a hundred, no man ever criticizes himself for anything, no matter how wrong he may be. Criticism puts a man on the defensive and usually makes him strive to justify himself. Criticism is dangerous, because it wounds a man’s precious pride, hurts his sense of importance, and arouses his resentment. Dale Carnegie finishes the chapter reminding us that any fool can criticize, condemn, and complain—and most fools do. But it takes character and self-control to be understanding and forgiving. So, if we want To Win Friends & Influence People, instead of condemning them, let’s try to understand them. Let’s try to figure out why they do what they do. That’s a lot more profitable and intriguing than criticism; and it breeds sympathy, tolerance, and kindness. There is only one way to get anybody to do anything, and that is by making the other person want to do it. Let’s say it again, this time slightly different: The only way I can get you to do anything is by giving you what you want. Almost all of these wants are gratified, except for one: the feeling of importance. This is what moves you and inspire you to do anything big or small that you think will satisfy that desire. We desire to be appreciated. So if you want to learn How To Win Friends & Influence People, give honest, sincere appreciation. Be “hearty in your approbation and lavish in your praise” and people will cherish your words and treasure them. The only way to influence anyone is to talk about what they want and show them how to get it. I hope this short introduction to this great book was enough to arouse in you the desire to ready it! You’re not in the M.L.M. industry very long before you hear the phrase, “That’s one of those pyramids!” Or the question, “Is this one of those pyramids?”The “pyramid” objection comes up because people have no knowledge, incomplete knowledge or wrong knowledge about M.L.M. and pyramids. Here is an excellent article by Tim Sales that will help you answer that question. Enjoy! Need extra Cash Flow? Make Money at Home! Whether you are looking for a few hundred dollars a month extra cash flow, or you want to achieve Financial Freedom, Network Marketing offers you the best opportunity to reach your goals. You need a steady, constant flow of customers and new partners. You need to promote yourself. People don't just buy products, they buy from people they like and trust. For success in Network Marketing, you need to develop the "Network", which is where the big money is. This means that you will be helping others achieve their dreams also. How can you get a steady,constant flow of customers and new partners and promote yourself? You need a combination of both online and offline tools and techniques, a strong will and the ability to persevere. What tools do you need to develop an online presence? 1) A blog: a blog is important so people can get to know you and you can start providing value to them. 2) A capture page creator: this is your own advertising "piece of real estate". Here you will promote your offer and ask people to enter their name and email address for more information. This is how you build your list. The contact information that people enter will go into your auto-responder. 3) An auto-responder: it will allow you to start building your own list, by collecting your prospects information and keeping in contact with them. 4) An Ad tracker so you know which ads/pages are producing the best results. I've been using 12 Second Commute online tools with great results, and I highly recommend it. They have a FREE program that is a great starter point, have great videos teaching you what to do and offer excellent live support and resources. Just click on the banner on the side of the page to try it. How can you find new prospects offline? 1) As you go about your day, look for ways to meet new people and get their contact information. 2) Open an excel worksheet on your computer and write down as much information as you can about your new acquaintance. 3) Find creative ways to stay in contact. 4) You don't need to talk to them about your product or opportunity right away, just stay in contact and form a relationship. I know it's not always easy to start a conversation with a stranger and get their contact information. But this is a skill that you need to develop if you want to have massive success in Network Marketing. I consider myself an expert in finding prospects and developing new relationships that will attract people to the business you are passionate about, and I can help you develop this skill. If you are interested in making money from home with Network Marketing, while helping others feel and look much better, I will be glad to hear from you; I am always looking for motivated partners!